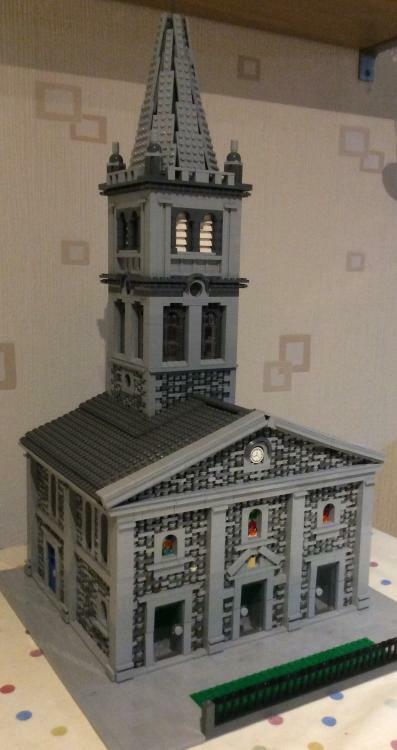 Lego model of my Church I've made for our Christmas tree festival. You can find images of the real church by googling first bangor Presbyterian church. Final bit of the spire is a dissappointment. Any suggestions on how to make an eight sided spire? LEGO® is a registered trademark of The LEGO Group who do not sponsor, endorse or authorise Brick.ie or this website. Smileys from Lego Message Boards Wiki, used under Creative Commons license, CC-BY-SA. All other content © 2009-18 Brick.ie.